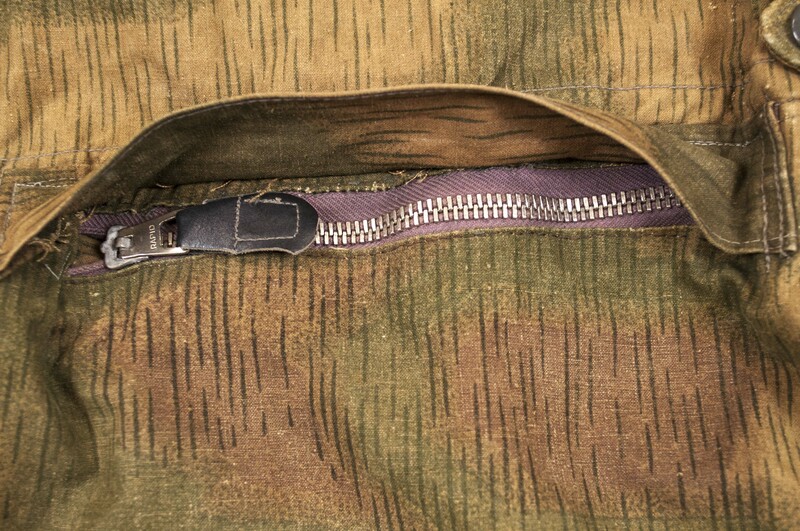 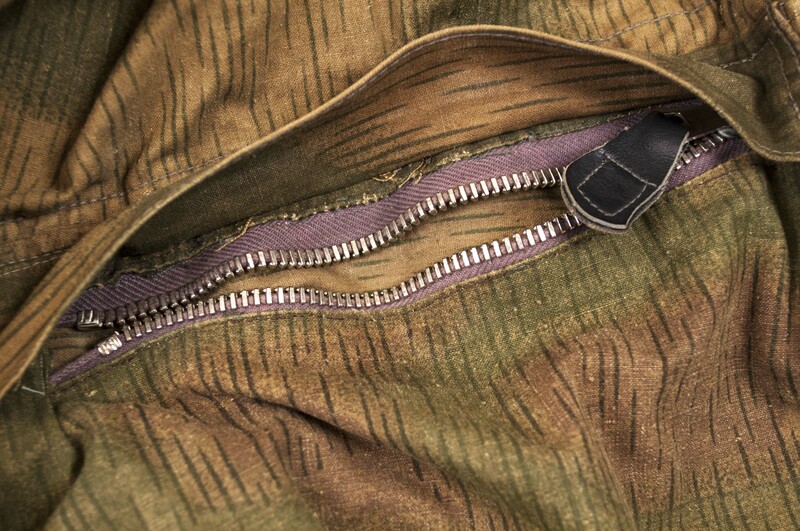 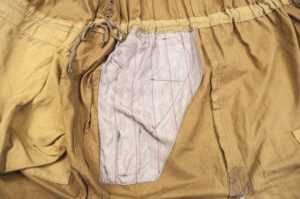 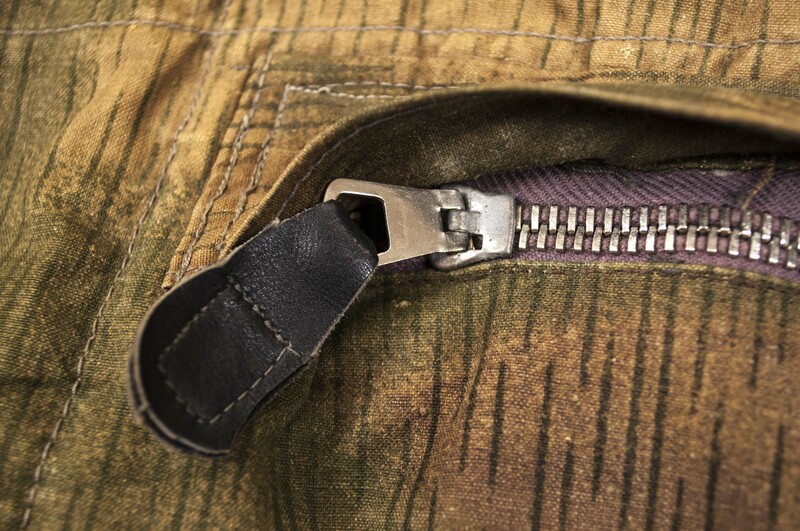 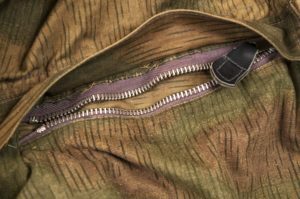 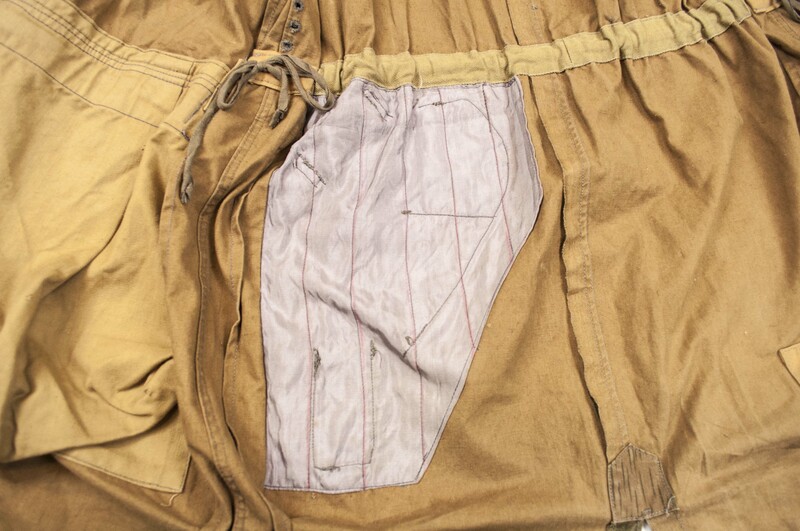 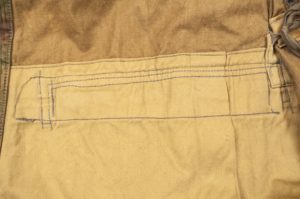 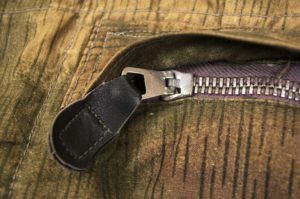 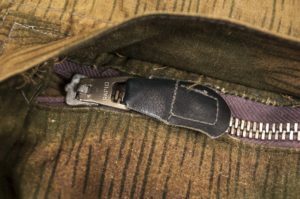 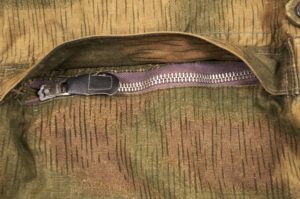 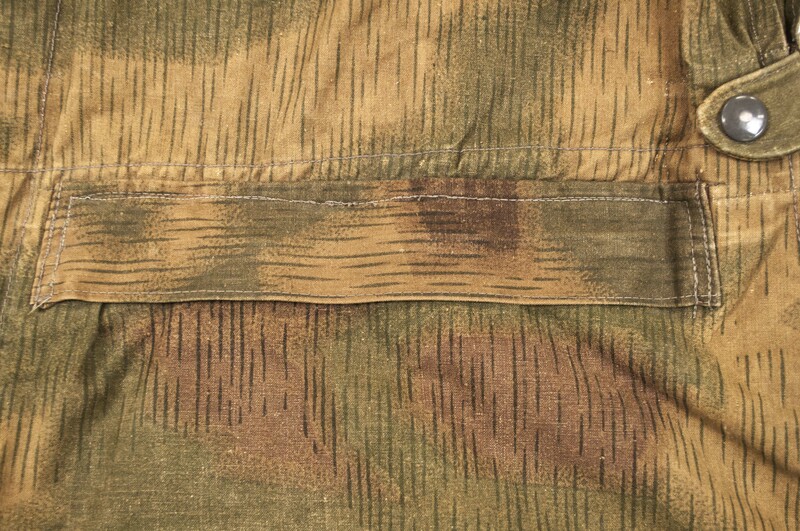 Type of uniform: Paratrooper jumpsmock or Fallschirmjäger Knochensack in Sumpfmuster ’44 , Sumpftarn or marsh camouflage. 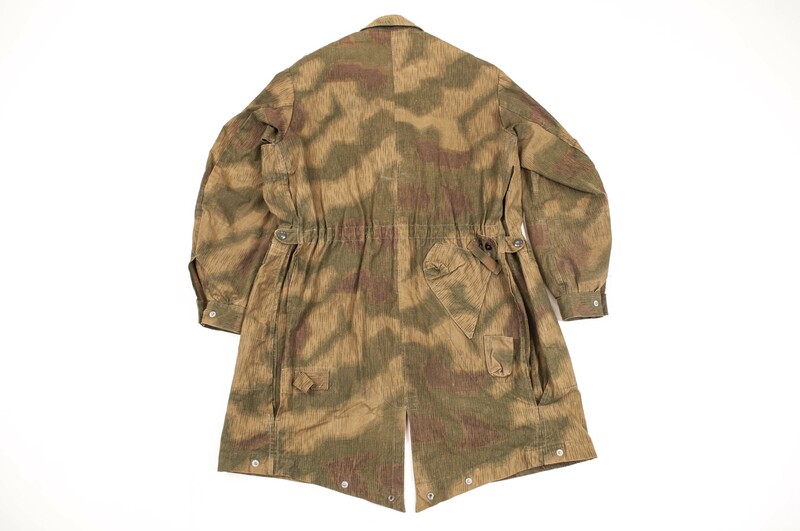 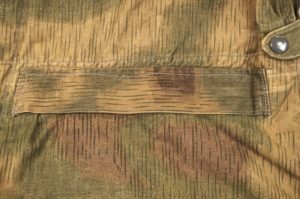 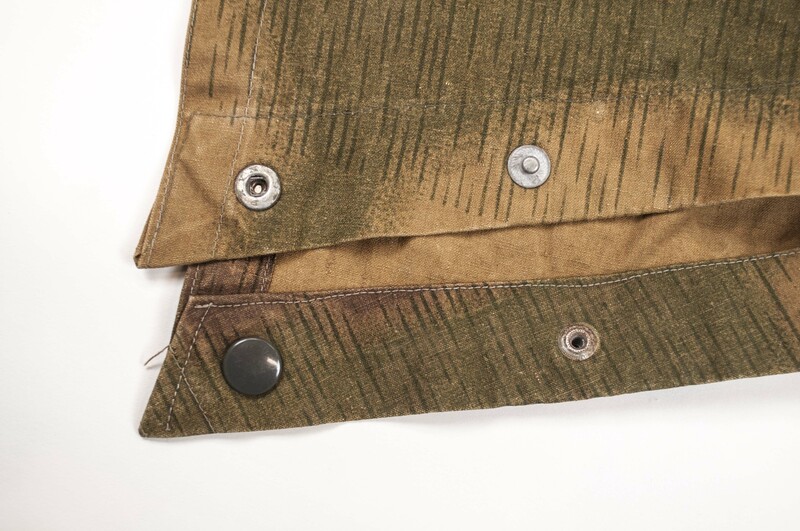 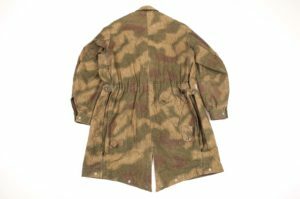 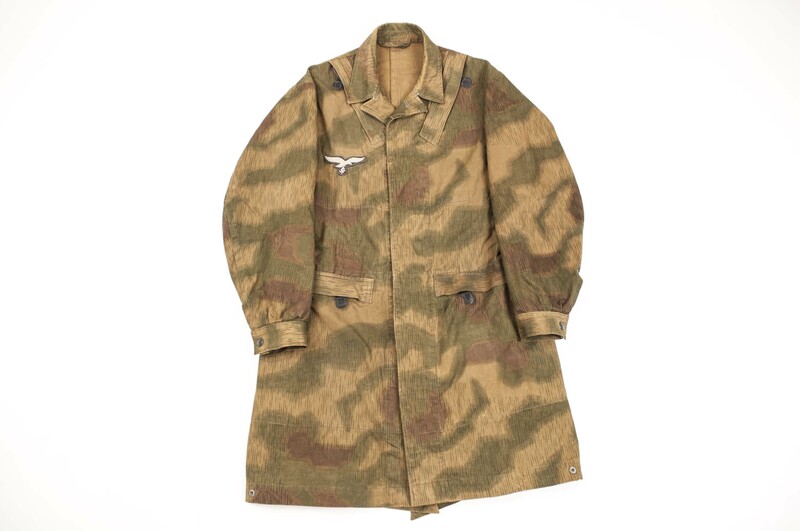 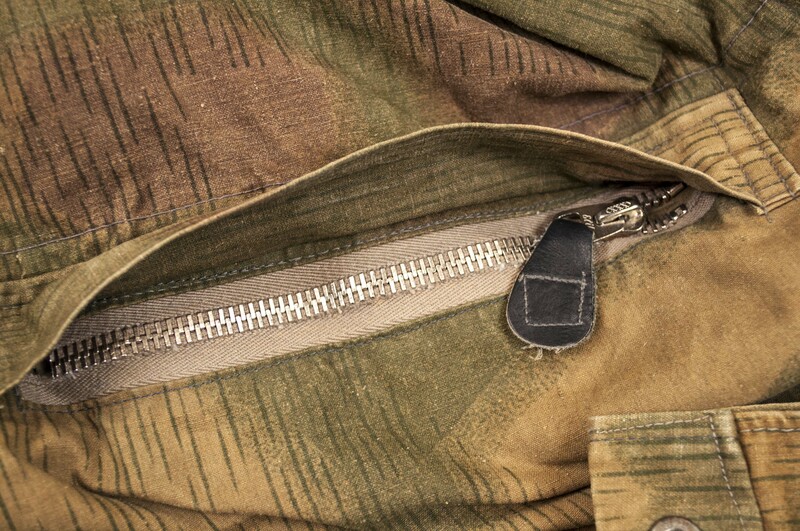 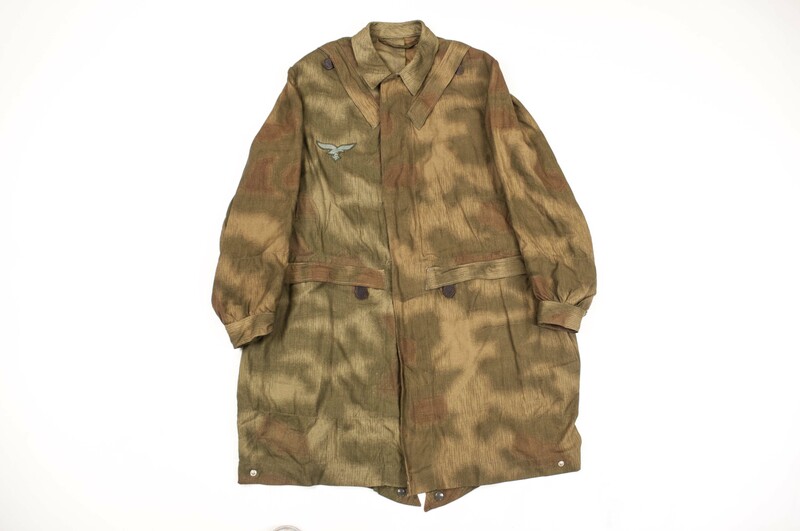 Material: Sumpfmuster ’44 , Sumpftarn or marsh camouflage printed. 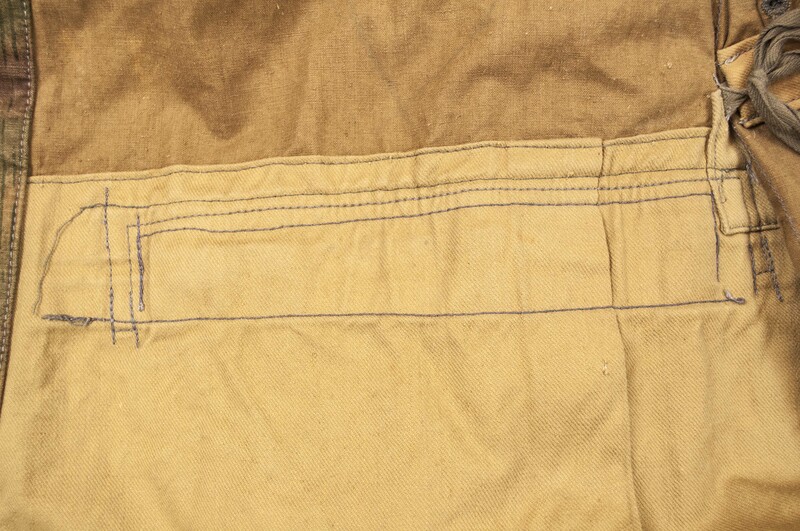 Maker: It is unclear to which maker the R.B.Nr. 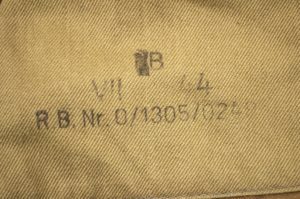 0/1305/0249 refers to exactly. 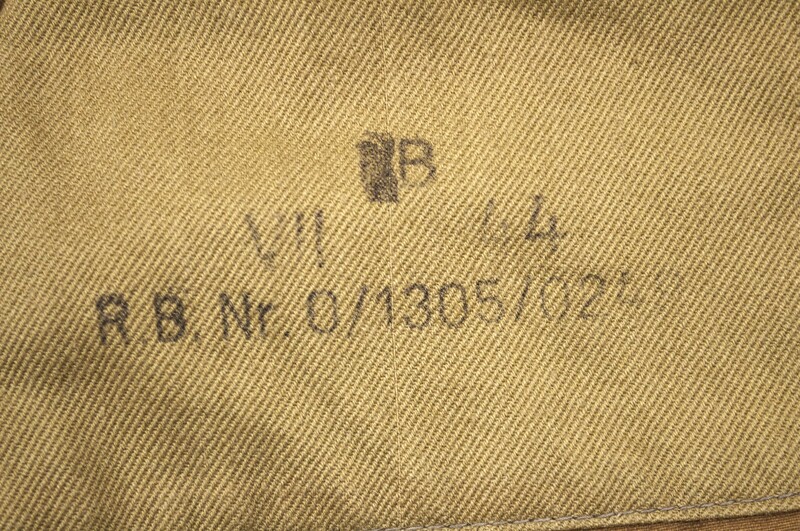 However, 0/1305 indicates production in Litzmannstadt. 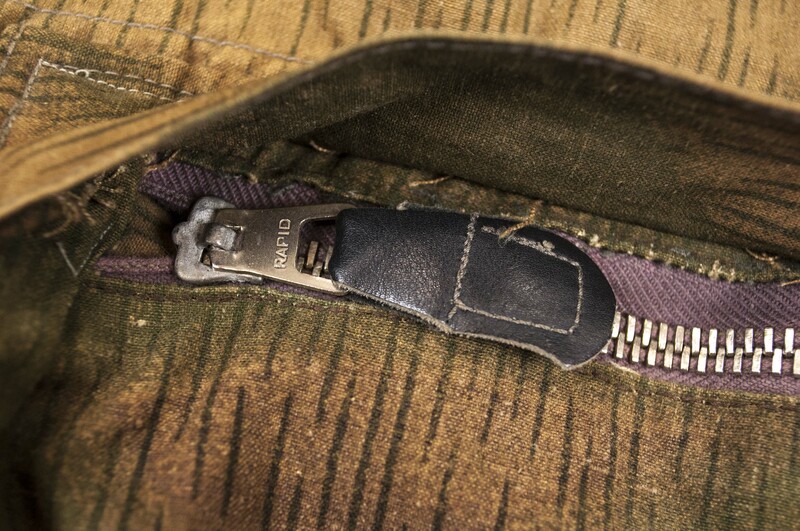 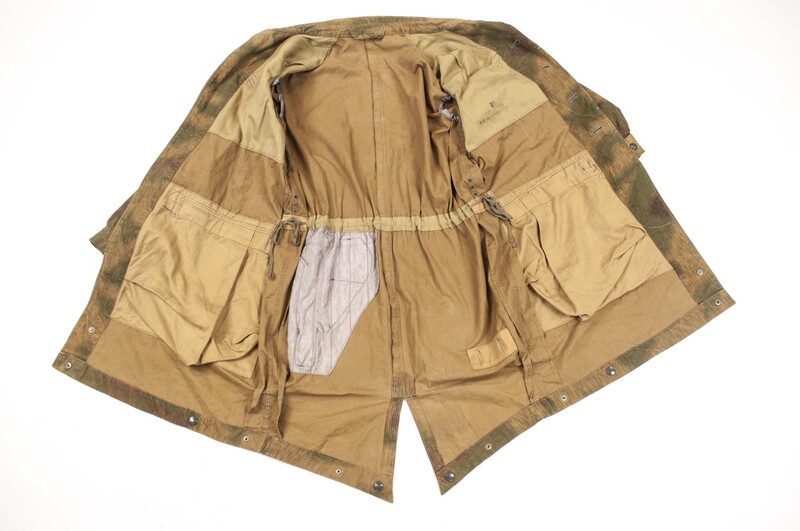 Notes: This Fallschirmjäger smock was combat used and worn. 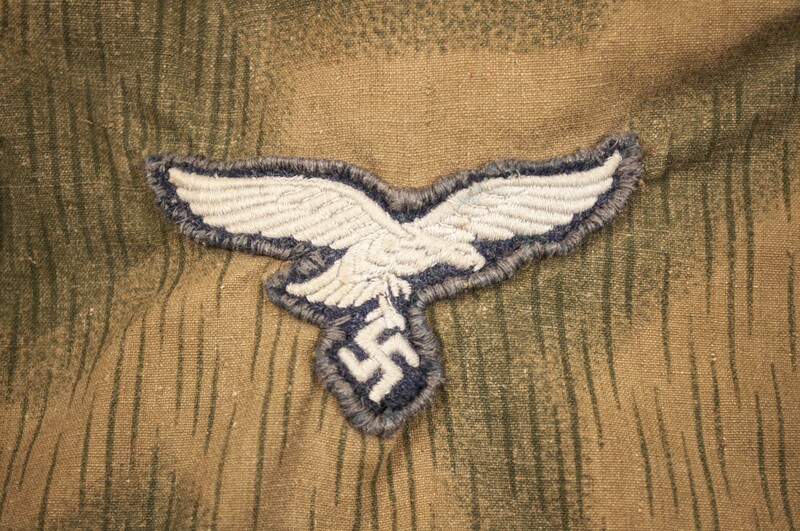 The breasteagle is restored to the piece.